The Bell Yard is a three-storey building on the banks of the Grand Canal. 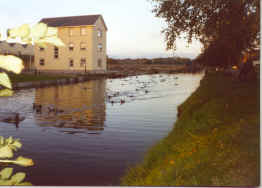 It was once known as The Grand Canal Hotel. People who travelled on the barges would use it. A bell would ring as the barges arrived. Warehouses were used to store goods. 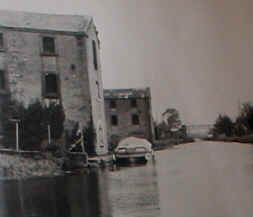 The older photograph was taken before the development of the canal area. There is now a lovely new complex of houses and apartments built along the harbour area.